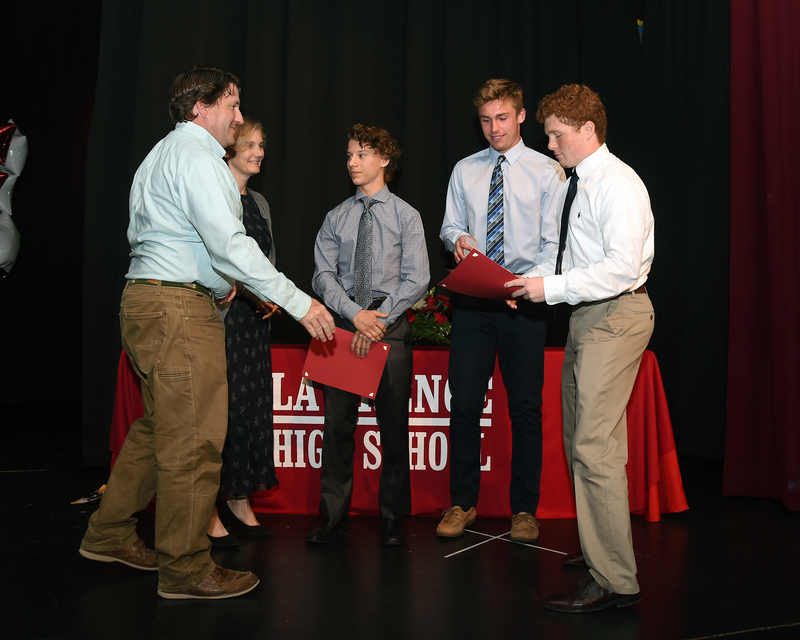 As a new annual tradition, the Lawrence Lacrosse Club is proud to offer scholarship awards to selected graduating high school seniors. These awards, to help them get started with their college careers, are presented to seniors who demonstrate leadership skills, have volunteered for and supported the club, are positive role models, and have shown a commitment to mentoring young players. "I wanted to say thank you so much for the Lawrence Lacrosse Scholarship Nomination. I'm extremely happy that I got the opportunity to coach and be apart of such an amazing club for the past two years. Lawrence Lacrosse has opened so many doors, and led me to so many other amazing opportunities as well. And for that I can not thank the club enough. The experience that the club, coaches, and players have given me is one I surely will never forget. p.s. I will be attending LaSalle University in the fall, studying Nursing." "Thank you for the generous scholarship you guys awarded me last week at Senior Awards night. I loved coaching and being around the kids and the game of lacrosse. The sport is growing fast and I appreciate all that you guys do to provide the next generation an opportunity to play. I see more and more athletes in the club every year, and I can't wait to see how far you guys can take this program!"